Picking the right guidebook is always a challenge. 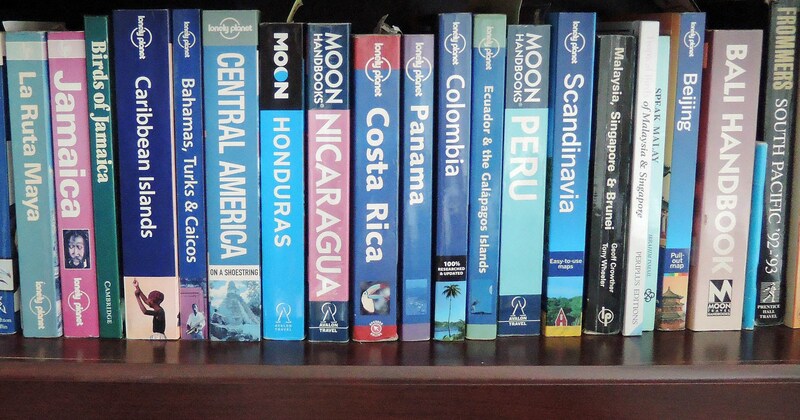 On the one hand, any guidebook is going to provide useful information, so you won’t necessarily have a better or worse vacation by picking one guidebook over another. But some guidebooks provide advice and recommendations that fit a particular traveler’s interests, budget, and time constraints; others are more a compendium of every potentially interesting sight and activity. Also, some have big long sections on where to stay. That can be helpful if you are traveling on the fly and looking for lodging as you go. If you plan ahead and book lodging beforehand, those sections are a waste of space and are extra stuff to carry around. I make no secret of being a fan of Rick Steves, and I almost always use his guidebooks. But they only work if you’re going to places he likes. He often gives short shrift to places and activities that are really worth seeing, and he finds hidden gems that he spends many pages on but might not be on my agenda. On my recent trip to the Nordic countries, his book convinced me to go way out of my way to visit Ærø. While this wasn’t necessarily a mistake (Ærø was lovely), it took time and money that might have better been spent seeing and doing other things. In particular, I wish I’d had a full day in Naantali, Finland, instead of just an hour or so. But Naantali gets one paragraph in Rick’s book; Ærø gets many pages. Also, on Öland I went to Borgholm Slott and to Solliden. Rick says Borgholm is not worth the admission price and Solliden is. I ended up paying to visit both, and have the exact opposite opinion. Borgholm was one of the highlights of my day on Öland; Solliden was nice but completely skippable. In the end, the guidebook is a good starting point. The best way to use it is to avoid doing stupid things. In Florence, if you are waiting in line in the stifling heat to visit the Accademia or the Uffizi because you didn’t know you could buy tickets in advance and walk right in, you are going to end up hating your vacation. There’s also no substitute for individual instinct. After a few trips and a few mistakes, I feel that I’ve learned a few things and found ways to keep my nose out of the book so I don’t spend my whole vacation reading about it.